Fuzz bids on items on Ebay, originally uploaded by Seligmans Dog. 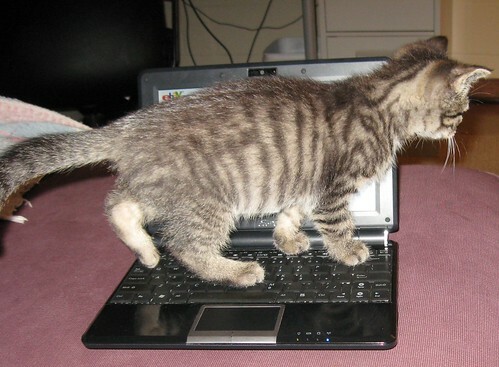 Train him to do data entry, and you've got a potential revenue stream. Or, maybe tapdance, like that frog in the cartoon.